Root > Tools > Viewer > Introduction > What is Eureka Log Viewer? What is Eureka Log Viewer? 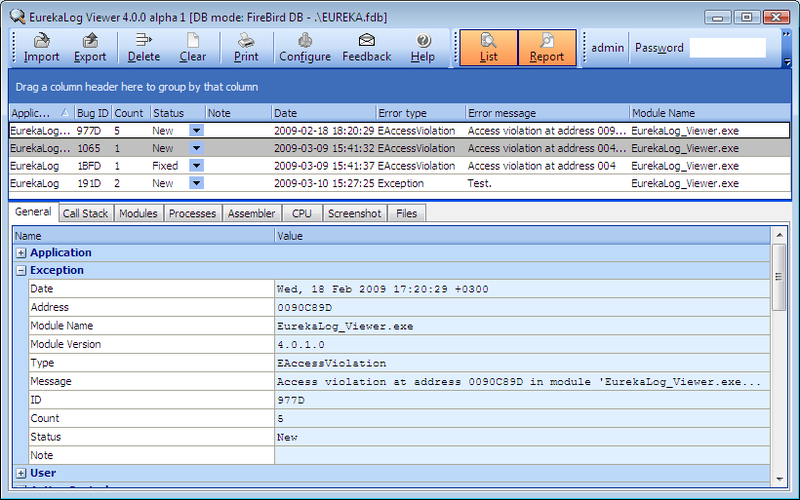 EurekaLog Viewer is an application that allows you to view bug reports from your customers generated by EurekaLog. Aside from viewer functionality it also stores all reports in one database, allows you to manage reports, filter them, etc. • What is new in this version of Viewer. • Working with grids in Viewer.